With his first book, Almost Average, published today, Inklings Press welcomes Jason J Nugent to the blog for a chat – and to wish him good luck on launch day! Hi Jason, thanks for taking the time – I suspect you're very busy finalising everything about the book and getting ready to tell the world! First thing first, then, tell us about the book – and why our readers ought to be dashing out to buy it. Thanks so much for this opportunity! My book is a collection of 16 short stories with fantasy, horror, or sci-fi elements. Most were originally published on my blog from October 2014 through November 2015. I grabbed hold of them, roughed them up, forced them into submission, and created cleaner, leaner stories. 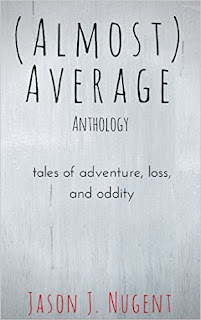 I added two exclusive unreleased pieces to round out the anthology offering something new for my readers. How are you publishing? Is it the self-publishing route or have you been picked up by a publisher? What made you choose the path you're taking and what were the particular benefits and difficulties for that route? I’m self-publishing the anthology. I thought about shopping it around but chose to self-publish for a couple reasons. I wanted to go through the process and figure out what it was like. I enjoy new experiences and so many writers have self-published I figured I could try it out and see what it was all about. Through the process, I learned how to format the books and I created the cover myself. I don’t like self-published books that are hurried and look like it inside and out. I feel the time I spent on the finer details made the final product well worth releasing to the wild. The other reason I chose to self-publish is because I wanted to release something sooner rather than later. I wanted to get my work out there and suffer at the hands of reviewers quicker than if I’d decided to go the traditional route. You've written three novels as well, I understand – are they eagerly lining up for publication too? What plans do you have for those? Actually that number has grown to four. I’ve not revised them and edited them to my satisfaction yet. I plan on shopping a couple around and possibly releasing one on my own later this year. At least that’s the plan for now. 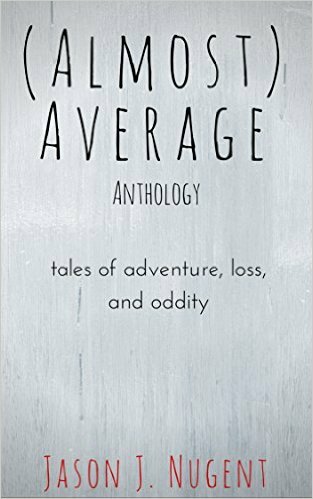 Almost Average is a collection of stories – and collections tend to showcase a variety of influences. What would you say are your influences for your writing? I’m highly influenced by Stephen King’s work. I’ve read his books since I was a teenager. I’m also influenced by Robert Jordan, John Scalzi, and Brandon Sanderson. I’m a huge fan of “good-vs-evil” stories. Then again I like to turn that on its head and let evil win. Because sometimes in life it does. From writing through to publication, what would you say is the part of the process you enjoyed the most, and what was the most difficult? The original story creation, putting words down on a screen or paper is the most thrilling for me. I get wrapped up in my characters and setting so much I can see it in my head or hear the voices as if they’re real. When I get in that zone I can write for hours. At first the revision process was tedious for me. With this book, I learned to appreciate revision. Now I enjoy how much better my writing is when I put in serious editing effort. I think it will show in the anthology. Over on your blog, you have a very honest post about receiving rejections. You say how writing is like running – you can't go out and run a marathon without training, and that you've been putting in that training with your writing, learning your failings and working to become a better writer. That kind of self-reflection can be very hard to do but very necessary, what would you say you're doing differently in your writing or in your approach to it in order to improve your writing? I take more time preparing before I write and I’ve discovered my tendencies. Most first drafts of mine are passive and contain jumbled sentence structure. I can identify those easier now and correct them faster than when I started. I’m also more aware of point of view, something I disregarded in the past. I learned through rejection that I had the ability but with more work on my craft, I could make it something special. Like a great many of us, you mix writing with family life and a day job – do you have a set routine that you stick to for your writing or fit it in where you can? I don’t have a set schedule for writing, though I tend to write in the mornings. I get up way too darn early for no good reason. After a cup of coffee, the cobwebs are knocked off and I’m ready to go. I can get a good hour or so of writing before anyone else wakes up. What would you say is the best advice you've received with regards to writing – including how to reach out to readers? Lastly, we always round out by asking two things – first, what are you reading at the moment, and secondly, what's the book you've most enjoyed reading in the past year? My latest blog post talked about this very thing! Right now I’m reading “Seven-X: The Seed of Demons” by Mike Wech. I’d say the book I enjoyed the most this past year was “Fluency” by Jennifer Foehner Wells. It’s a fun space drama that’s fast paced and easy to lose yourself in. Fluency is on the to-read list here at the blog after reading her story in the Dark Beyond The Stars anthology! May have to move that up the list! Jason Nugent, many thanks – and all the best for your book launch! 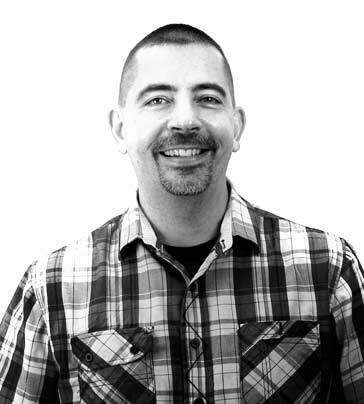 You can also find Jason on his blog here, on Twitter here or on Google+ here. UPDATE: Jason has since released a second anthology, Moments of Darkness. You can read my review of that book here. And we should probably invite him back for another chat soon! I enjoyed this one a lot. Cover looks great! I find it interesting that so many of us opt to go the early bird route to write when others are sleeping. I have a similar schedule, and love the mornings so damn much. Working a night shift plays havoc with that one for me! Late night tip-tapping away on the keyboard is my routine.